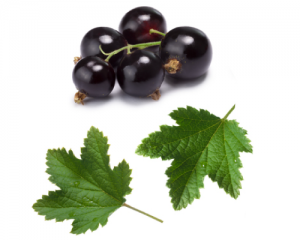 Blackcurrant leaf (Ribes nigrum) for osteoarthritis: does it really help? Home » Blackcurrant leaf (Ribes nigrum) for osteoarthritis: does it really help? The Blackcurrant (both the berry itself and the entire plant) is known for containing many special substances that have a positive influence on your health . In this article, we will mainly focus on the effects of Ribes nigrum components on chronic inflammations linked to, for example, joint disorders. A study with rats conducted in 1989 first confirmed that an extract of the leaves of the Ribes nigrum plant contains anti-inflammatory components . The introduction to this publication refers to old studies conducted in 1908 and 1930, when Ribes nigrum leaves were already used as a remedy for rheumatoid arthritis, gout and kidney problems . The Blackcurrant plant is therefore an ‘old acquaintance’ when it comes to naturally combating rheumatism and similar problems. Practitioners of traditional medicine know that the Blackcurrant leaf stimulates the functioning of the adrenal cortex, causing it to produce more anti-inflammatory hormones and break down uric acid. This effect of the Blackcurrant leaf is especially welcome in the case of, for example, gout symptoms (too much uric acid in the blood, causing crystals to form and leading to complaints). A study on the oil from the Blackcurrant seed was published in 1993 . This study revealed that the oil reduced the production of several cytokines (IL-13, IL-1β and TNF-α) in vitro (not in the body, but in a petri dish), and reduced in vivo the morning stiffness felt by people with rheumatoid arthritis . It did not have an effect on the grip strength of a person’s hands and pain scores, however . According to a systematic review, Blackcurrant seed oil does have a positive influence on the level of pain and the limitations caused by rheumatoid arthritis . This oil contains γ-linolenic acid (or GLA, an Omega-6 fatty acid), which probably contributes to its anti-inflammatory effect by providing ‘good’ prostaglandins after conversion by the COX-2 enzyme. Procyanidins were already known for their anti-inflammatory effect, although the origin of the procyanidins in earlier studies was not the leaf of the Blackcurrant but the leaf of green tea  and a type of pine tree (Pinus pinaster) . PACs were also revealed to be effective in combating inflammation in rats – in other words, in vivo . The formation of edema due to an inflammation in the rat’s legs was reduced by 60% and the amount of exudation due to a pleural inflammation was reduced by 48% after the oral ingestion of PACs . The number of inflammation cells attracted by that reaction was also drastically lower, which could be explained by a comparable reduction of the substance that attracts these cells (CINC-1) under the influence of PACs . The cytokines TNF-α and IL-1β, as well as nitrite and nitrate levels, were also produced in smaller quantities, while the cytokines IL-6 and IL-10 were not affected by the PACs . The overall effect of PACs on inflamed lung tissue was positive – this was confirmed by a histological (microscopic) control study . Since a comparison was made with indomethacin (an NSAID) in all experiments, it was possible to conclude that PACs have an anti-inflammatory effect that is less strong than NSAIDs and that arises in a manner that is different from NSAIDs . This may be related to a selective inhibition of COX-2 in comparison with COX-1 , but other mechanisms might also be involved in the anti-inflammatory effect of PACs. A follow-up study conducted by the same research group shows that PACs ensure that there are less adhesion molecules (ICAM-1 and VCAM-1) for cells of the immune system on the walls of the blood vessels . This prevents these cells from ‘sticking’ to the blood vessel wall, and also prevents the subsequent migration of inflammation cells to the center of the inflammation, where they would have strengthened the inflammation. Although no so-called ‘Randomized Controlled Trials’ with an extract of Blackcurrant leaves have been conducted yet on people with joint problems, there are convincing indications that Proanthocyanidins have an anti-inflammatory effect. Since the mechanisms of the inhibition are different from those of the NSAIDs, Ribes nigrum leaves can make an additional contribution to the treatment of chronic inflammation diseases. 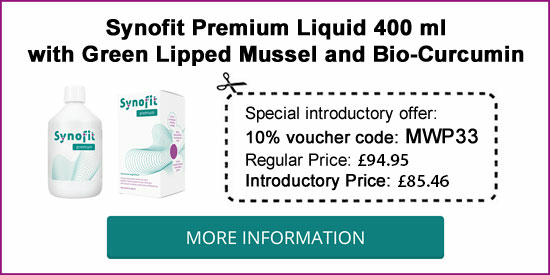 This also applies to the combination of PACs with liquid Green-lipped mussel and Curcumin. 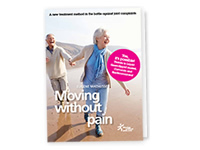 Together, these natural components ensure the effective inhibition of chronic inflammation caused by such conditions as osteoarthritis and rheumatoid arthritis.